The lodge is located between lifts 2 and 3. 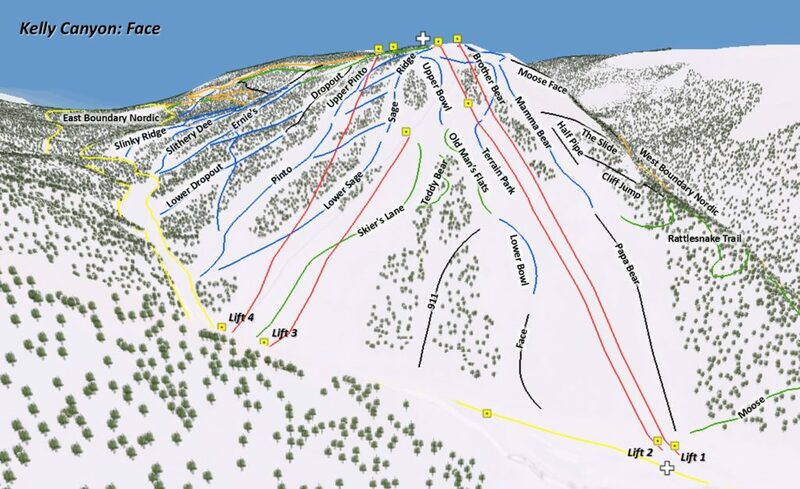 The rental shop is located near lifts 1 and 2. To view the full sized map, click on the picture or click HERE to visit the Kelly Canyon Website.